Since the very beginning Grass Valley has been the hub of our community. As weary travelers came over the Sierra Nevada Mountains they would rest here because of the grassy fields. It wasn’t until quartz gold was discovered over160 years ago, that Grass Valley became a booming city bringing hundreds of thousands of miners to Grass Valley from all over the world. News traveled fast about the new mining opportunities in California, so came the parade of “Cousin Jacks and Jennys” as they were known from Cornwall, England. It was estimated that in the 1890s, over 60% of the population of Grass Valley, California was Cornish. Mining and logging were historically the mainstays of the Nevada County economy. In fact the town of Grass Valley was literally circled by mines with stamp mills crushing ore to extract gold twenty-four hours a day, 364 days per year (one day each year was set aside for the annual miner’s picnic). The town of Grass Valley, California was the main supply source for the mines, its workers, and the services needed by the local community. Grass Valley was considered a “working town” with a diverse population of Italians, Cornish, Chinese, Jewish, Native Americans and African Americans who were in mining or related businesses. After WW II, as mines either stopped production or were merged with other mines, a steady decline ensued until the last major mine closed in the mid 1950s. Over the years as the mines began to fade, miners began to relocate elsewhere to find work. It wasn’t until the early 1960s, when an engineer named Dr. Hare chose Grass Valley, California for his business and developed a video broadcast mixer. This was the start of the next economic boom to Grass Valley. To this day we remain home to many California based electronic and technology businesses. In the 1970’s though, we once again saw a high vacancy rate and blight in the district. It wasn’t until 1979 a group of dedicated merchants in downtown decided to take matters into their own hands and they formed the first merchants association. The downtown Merchants held a wine tasting that raised $7,000 to form an assessment district. 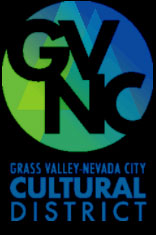 The purpose of the District was to insure that each downtown business paid its fair share and in turn the association acted as an advocate for their businesses and provide services including business recruitment and retention and an aggressive marketing plan of monthly promotions to bring our community together and business to downtown, to insure the future of downtown Grass Valley for generations to come. In 1981 some members of the Grass Valley Retail Merchants Association canvassed the area in preparation to ask the City Council to form a (BID) Business Assessment District. The attempt to form the assessment district was successful and it was named the Grass Valley Downtown Association and AB 1693 was established by the City of Grass Valley, with annual assessments of $20,000. The monies collected were then put back into downtown promotions and improvements. The Grass Valley Downtown Association raised enough money to hire a full time Project Manager. This was the start of revitalizing our downtown. In 1984, the Grass Valley Downtown Association decided to pursue the “Main Street” approach to downtown revitalization and took part in the Main Street teleconference. A group of downtown merchants, members of the Grass Valley City Council, the Mayor of Grass Valley and the City Administrator huddled around a television set watching as the National Trust & Preservation broadcast via satellite, the “Main Street” approach to downtown revitalization. This approach is self-help methodology that requires downtown stake-holders to work together to determine their future, assess their own unique market potential and build upon the local cultural and historical identity. The group decided the Main Street program was what downtown Grass Valley needed to survive. In 1985, the Grass Valley Downtown Association adopted the Main Street program as the program they would pattern their downtown plan after. This comprehensive approach uses the four points of downtown revitalization: Organization, Promotion, Economic Restructuring, and Design. With a Business Improvement Assessment District (BID) already in place and the City of Grass Valley ready to commit additional dollars, the association started to gather letters of recommendation, develop a budget and establish a nonprofit status to complete the Main Street application to become an official Main Street City. In 1986 we were recognized as an official National Preservation Main Street City. Since that time we have seen an amazing partnership flourish between the Grass Valley Downtown Association, the City of Grass Valley, and the local Grass Valley merchants in and outside the district. In August of 2012, we celebrated our 26th year as a California Main Street City. Over the last 26 years, the Grass Valley Downtown Association, has experienced the value in using the four point approach. When the program was first adopted we were at a 1st floor vacancy rate of over 15% to less than 1.5% today and second floor vacancies going from about 35% to less than 5%. There have been over 30 public improvement projects with a value of $6,445,500 and 188 private design projects with a value of just over $17 million. Downtown Grass Valley continues to embrace our historic roots and at the same time we have regained our competitiveness as a shopping district and community gathering place. Through our revitalization efforts we have nurtured and harnessed community pride to enhance the wonderful quality of life that so many people look for when locating to our area. Our business district is 13-blocks consisting of over 218 businesses. Although downtown Grass Valley may never again house the large hardware and department stores it once did, we believe that today we offer a vital mix of shopping, dining, art venues, wine tasting rooms, spas, entertainment and we are home to a variety of professional services including City Hall, the Grass Valley Library and Post Office. Our wide range of businesses offer our residents and visitors alike a reason to visit downtown Grass Valley, and enjoy all the amenities we have to offer. Fast forward to 2012 and Grass Valley has a vibrant and inviting downtown through our various committees’ hard work and dedication and using the four point approach. Of course businesses change over time, but the one constant is the architecture of our downtown. Through our historic preservation efforts we are proud to say that we have maintained the charm of the early 1900’s in a modern 2012 setting. The GVDA is staffed by an Executive Director and one assistant filling the needs of all our members, tracking business gains, public / private investment and new jobs to the downtown area, assisting with expansions, relocations and member education. Property owner outreach and assistance is also a key part of keeping our downtown properties occupied. We are involved in over a dozen other community-based organizations strengthening our relationship with other economic development organizations and non-profits to extend services to our members. In addition we are proud to produce a year round calendar of promotions for the community to enjoy from downtown Car Shows and wine tasting events, to our time-honored tradition of Cornish Christmas, a hommage to our Cornish roots. Experience an earlier time as we travel back over 160 years with vendors dressed in period costume selling handmade gifts, street musicians fill the streets with holiday tunes and you can top off the evening with an authentic Cornish Pasty. Seize your opportunity to come to downtown Grass Valley whether you live here or are just visiting! Come ENJOY! All that IS…Downtown Grass Valley! Presently the business district contributes about 20% of all the sales tax revenue collected in the City of Grass Valley, California.